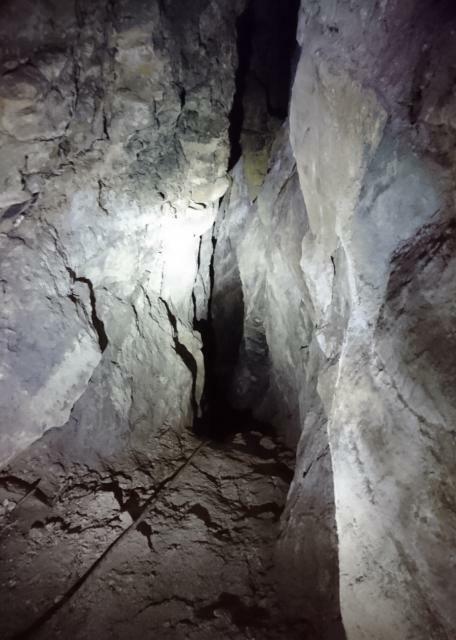 A cache within a cave system accessed via abseil, down a very loose cliff. Dead man's gull, is a small rift accessed via a 25ft abseil from the cliff top. The cliff is incredibly loose and safety is paramount in accessing the entrance. Once at the entrance a small crawl you will gain the rift, which is followed downwards some 40 or so feet to a junction. At the junction, head south east to its termination and gz. 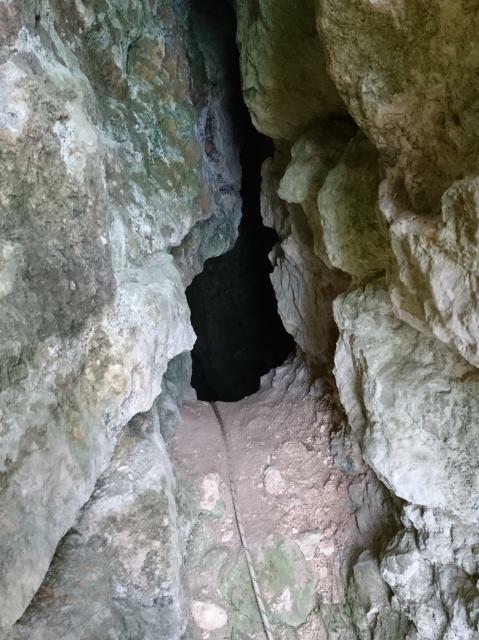 Return out the way you came, exercising extreme caution on leaving the cave entrance and either, abseiling to the base of the cliff, or ascending your rope, the cliff is extremely unstable and every move you make will require you to avoid dislodging rocks . You attempt this cache at your own risk, the cliff itself makes the abseil alone quite serious, once in the rift, it is advisable to pull in rope to aid the climb back out. 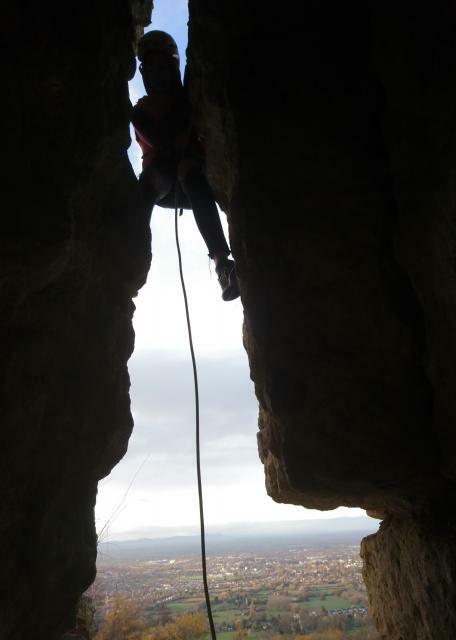 Before making the abseil it's advisable you check from below to obtain the exact line of the gull, the metal abseil stakes on top are not near the cave, abseil is made from a hawthorn tree set back by the path.